If Convicted, Nassau County Can Take The Vehicle Used During The Crime! FIGHT YOUR CIVIL FORFEITURE WITH AN EXPERIENCED CRIMINAL LAWYER! 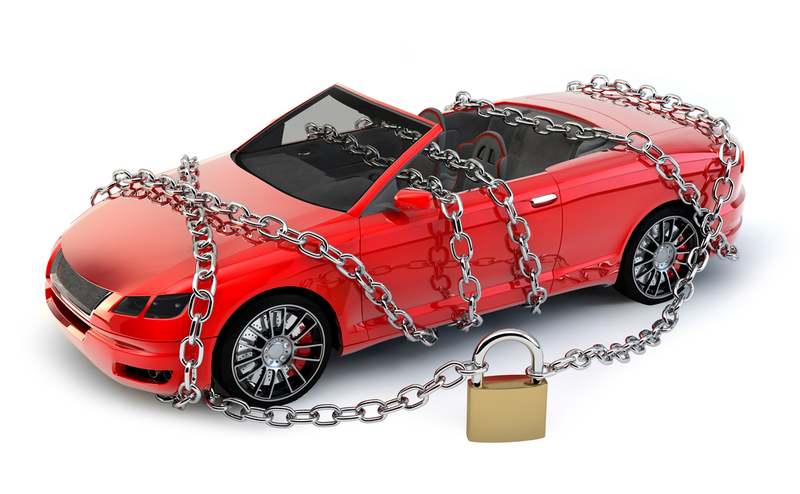 Let Us Help You Keep Your Vehicle! If you were arrested for driving while intoxicated (DWI), the vehicle you were operating was likely seized by law enforcement on the spot. In many cases, the vehicle will be returned to you after your arrest, the nightmare does not end there. A DWI in New York State is a serious offense. In fact, in most cases, a DWI will result in criminal charges. However, in Nassau County in particular, there are additional laws that can compound the damages a DWI will have on your life. If you have been charged with a DWI offense, or have received a summons for a civil forfeiture hearing, contact the Law Offices of Michael H. Ricca P.C. today! Fighting a civil forfeiture is possible; having the best Nassau County traffic and criminal defense lawyer on your side can help save your vehicle. In Nassau County, civil forfeiture is a legally permissible tactic. In fact, the Nassau County Administrative Code, Section 8-7 provides a wide range of reasons a civil forfeiture action may be pursued. When it comes to a DWI, however, it is the Nassau County Administrative Code, Section 8-7(g) that gives the County the right to take the vehicle used during the commission of a crime. Per Section 8-7(g)(d), the vehicle used is considered to be the “instrumentality of a crime.” However, this definition is not the only reason the vehicle can legally be taken by the County. Section 8-7(g)(4) expressly gives the County the right to take any vehicle used during a drinking and driving offense. They can do the same if you were driving under the influence of drugs as well, as this is considered a dangerous influence as well. In fact, drug-related driving offenses, or combination ones, tend to have much more severe penalties than alcohol-related ones.  The civil forfeiture laws in New York State are controversial. The action itself is meant to help deter criminal activity by stripping away profit incentives associated with specific types of crimes. The finances generated by civil forfeitures help to fund initiatives, equipment, and more. Nassau County is notorious for civil forfeitures. In fact, in 2016, it was the second-highest ranking county in New York when it came to funds generated through civil forfeitures. Civil forfeiture generated $28 million in funds throughout the State of New York in 2016. The top three contributing counties were: Manhattan ($13 million), Nassau County ($7.1 million) and Suffolk County ($4.1 million). Funds generated by civil forfeitures cannot be used to pay law enforcement salaries. However, they do help pay for equipment and training programs. In addition to this, Nassau County uses these funds to help provide support to drug and gang awareness programs, including rehabilitation facilities, as well as help pay restitution to those who have been victims of a crime.  In New York State, the Vehicle and Traffic Law (VTL) is the piece of legislation that governs the use of the roadways. As such, it provides everyone with the expected duties and laws associated with maintaining their privilege to drive in a safe, responsible manner. This includes things like mandatory vehicle inspections and registrations, speed regulations, moving violations, and much more. VTL 1192 specifically outlines drinking/drugging driving offenses. These offenses, and their potential consequences, can have a serious impact on the rest of your life. In some cases, a single charge may lead to a felony conviction. Regardless, a criminal record can haunt you for the rest of your life, making it harder to find a job, housing, lenders, and even get into college. Fight your DWI charge with The Law Offices of Michael H. Ricca P.C. !It is important to note that there are other DWI-related offenses within the VTL. However, the above are some of the most serious offenses. When facing a DWI charge, it can be easy to forget about your civil forfeiture case. However, it is in your best interest to make sure you have a lawyer who can help you tackle both issues. At The Law Offices of Michael H. Ricca P.C., we can help you defend yourself against both the criminal and civil aspects of a DWI charge. Michael H. Ricca is one of Nassau County’s best traffic and criminal defense attorneys. As such, his experience has helped him to successfully assist clients in reducing charges, having cases dismissed, eliminating license points, and even keeping their vehicle despite a civil forfeiture summons. Below are some of the most frequently asked questions when it comes to Nassau County’s civil forfeiture laws. – I Have Been Convicted of A DWI; Is This Part of My Sentence? Yes, and no. A DWI is considered to be a criminal action. As such, you will be prosecuted via a criminal court. However, a civil forfeiture is a civil action. This means it will be processed through the civil court system. Because of this, the two actions are considered to be “separate and apart” from each other. Based on the fact that you were charged with a DWI, Nassau County reserves the right to pursue this civil action against you. In fact, whether you are convicted of the DWI or not, Nassau County can still pursue the civil forfeiture of the vehicle that was involved. This is because the criminal and civil courts require different burdens of proof. – I Have Not Yet Gone to Court for My DWI; Can I Still Lose My Vehicle? Yes. The DWI is not necessary when it comes to the Nassau County civil forfeiture proceedings. The charge itself is enough to initiate the process. In fact, even if you are not convicted, you can still lose your vehicle to the civil forfeiture law because the burden of proof is much less stringent than that of a criminal trial. After your arrest, the vehicle may be returned to you. However, you will be responsible for paying any fees associated with impounding your car during your arrest. This includes towing costs and impound lot fees. In addition to this, certain restrictions will be put into effect. The most common is that you are not able to sell the vehicle until the pending civil forfeiture process has completed. – This Is My First DWI Offense; Can I Still Lose My Vehicle? Yes. In Nassau County, it does not matter whether this is your first offense or fifth. Any DWI-related charge opens you up to the civil forfeiture laws in Nassau County. Nassau County does not always opt to initiate civil forfeiture proceedings. However, depending on the circumstances surrounding your case, your first DWI charge can still give Nassau County the right to take the vehicle you were driving when charged. In most cases, the District Attorney will conduct a review of your record, including your entire criminal history and driving record, before they decide whether or not to initiate a civil forfeiture action. This is not always guaranteed, however. As soon as you are able to, contact an attorney regarding your DWI charge. Taking action quickly is essential! – The Vehicle I Was Driving When I Was Arrested for A DWI Was Not Mine; Can Nassau County Still Take the Vehicle? Yes. Here is where the most controversial aspect of the civil forfeiture law presents itself. You are solely responsible for your DWI charge. However, whether you own the vehicle or not, Nassau County can still pursue a civil forfeiture action. This means, the owner of the vehicle is equally as liable when it comes to the civil aspect of your DWI charge. If you loaned your car to an individual who was charged with a DWI while driving the vehicle, contact our offices today! Even if you were leasing the vehicle from a company, Nassau County can still take it via civil forfeiture laws. Should they successfully do so, you will still be responsible for paying the balance on your lease. In many cases, you will also be responsible for any accompanying charges created by the civil forfeiture proceedings, including legal fees and fines. – Is There Any Hope in Stopping Nassau County from Taking the Vehicle Used When I Was Arrested for A DWI? Untimely Filing Defense: The law requires that the vehicle’s owner, as well as the driver if they are not the same person, to be notified of Nassau County’s filing for civil forfeiture proceedings within 120 days of doing so. There must be proof of this. Undue Hardship Defense: If the forfeiture of the vehicle will create undue hardship for the vehicle owner or their family, an argument can be made. Undue hardship includes increased financial burdens that may cause significant issues for the vehicle’s owner or their family. Inadequate Notice Defense: Nassau County is also required to provide the owner, as well as the driver, a timely notice of their intent to seize the vehicle. Innocent Owner Defense: This defense is used to help vehicle owners ward off a civil forfeiture. It asserts that they were innocent and had no knowledge that the driver was operating the vehicle under the influence of alcohol, drugs, or a combination of the two. Depending on the circumstances and facts of your case, The Law Offices of Michael H. Ricca P.C. will work with you to develop an appropriate defense. At The Law Offices of Michael H. Ricca P.C., we focus on traffic law and criminal defense. Because of this, we have the in-depth knowledge needed to help you keep your vehicle out of Nassau County’s hands. If you have been charged with a DWI, The Law Offices of Michael H. Ricca P.C. can provide full representation during both your criminal and civil court matters. A DWI is an overwhelming, and often life changing, charge that can create tremendous hardships for your future if you are convicted. Hiring an experienced and knowledgeable attorney gives you the best chance of a positive outcome. This may include things like a reduced sentence or even a dismissal of your charges. However, even if you are convicted or decide you want to plead guilty, stopping the civil action against you can be just as important. Whether your family only has a single vehicle, cannot afford another one, or you borrowed it from another individual – a civil forfeiture can create an additional burden that may compound the devastation caused by a DWI conviction. If you have been charged with a DWI or own a vehicle whose operator was arrested for drinking and driving, contact The Law Offices of Michael H. Ricca P.C. today!